In 2013 Partners Thierry Viérin and Stefan Deswert opened Osborne Clarke in Belgium at Avenue Marnix 23. They were joined by five lawyers, four of whom are still with the firm today: Vinciane Rysselinck (employment), Ruth Wirtz (corporate), Yves Stans (commercial), and Johanna Van Herreweghen (employment). Rita Wastijn, the team PA, also joined and continues to support the team. Later in 2013, we appointed M&A expert, Partner David Haex, who started the corporate team which was enhanced in June 2016 by arrival of Hadrien Chef, Counsel. Laurent Donnay de Casteau, a corporate and personal tax specialist with extensive international experience, strengthened the team in 2015. In 2017 we were joined by data protection/IT/IP Partner Benjamin Docquir, and created our FinTech team with the arrival of financial regulations expert, Partner Joan Carette. 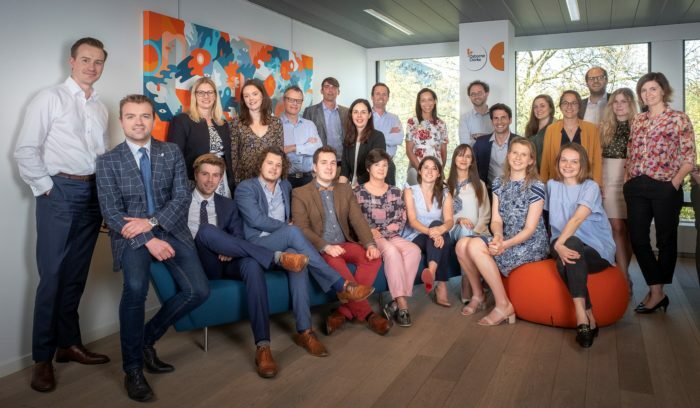 The office recruited a business development /marketing manager and knowledge coordinator to help support the growth of the Brussels office later in 2017. During the past three years, we’ve made several internal promotions at the levels from associate to counsel. Today, we have a team of nearly 30 people and continue to expand. We specialise in key sectors including digital business, life sciences, financial services, retail, real estate, transport and automotive, and energy providing corporate, commercial, employment, financial regulation, IP/IT/data protection and tax law advice. We are proud of our supportive and inclusive culture. Diversity and wellbeing play a key role in attracting and retaining the best and brightest talent. Part of this is maintaining a collaborative interactive atmosphere and promoting agile working to meet the diverse needs of all our people. Female progression is big priority for our business as we strive to reach a gender balance in our leadership, and Joan Carette, our first female Partner, is currently launching our diversity programme in Brussels.